Tee sponsored by: Fothergill Wyatt Based in Stoneygate, Fothergill Wyatt is a multi-disciplinary property consultancy and Chartered Surveyors, offering sales, lettings and management, survey and valuation, and investment and development consultancy services. 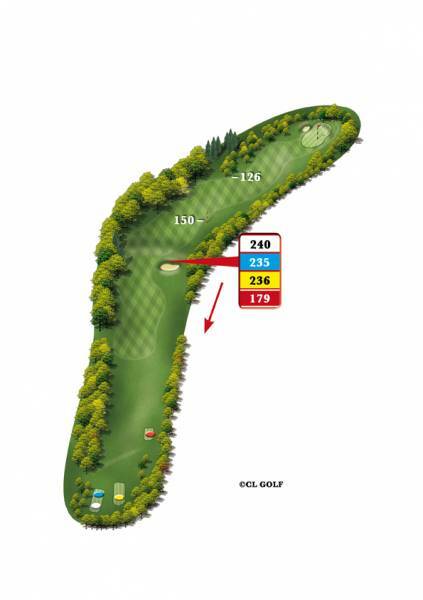 Doglegging to the right, longer and more daring drivers take as much of the corner as possible, however, missing to the right will result in virtually no chance of being on the green in two. An inviting green with one bunker on the left which slopes away from the right hand side. You see more people getting up and down by missing this green short or left.